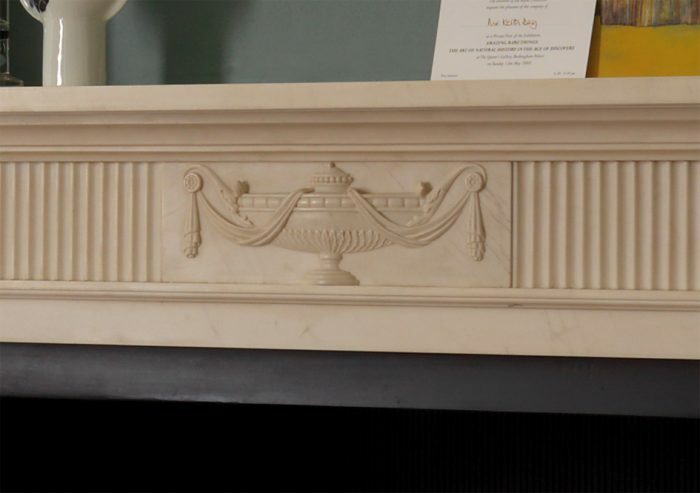 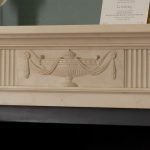 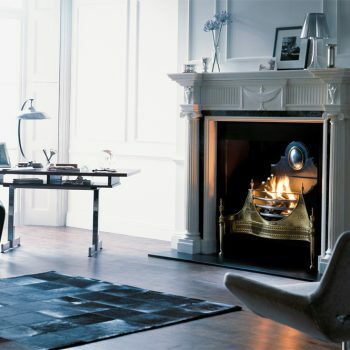 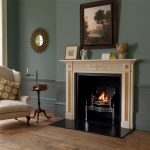 The Fitzroy chimneypiece was selected by the Georgian Group to replace a pair of chimneypieces lost from its headquarters in Fitzroy Square in central London. 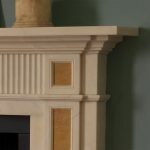 Every year the Group helps save many important buildings and is instrumental in preserving Britain’s unique architectural heritage. 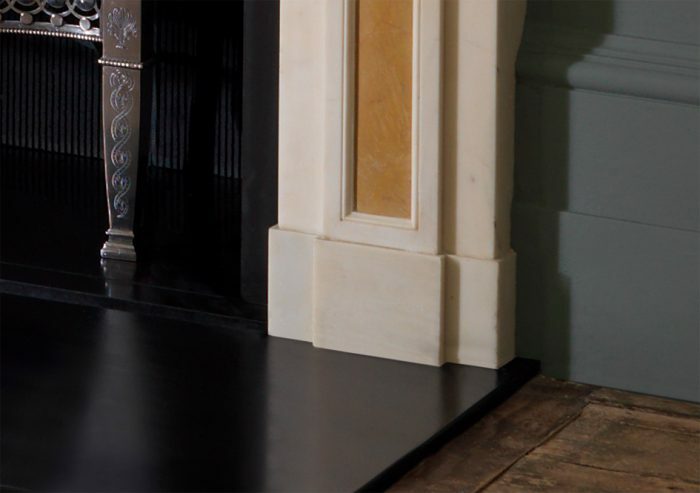 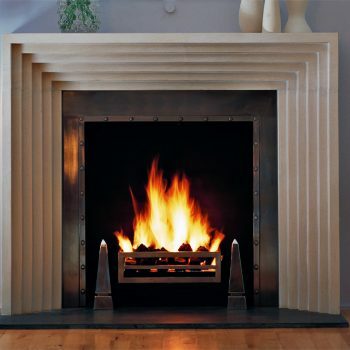 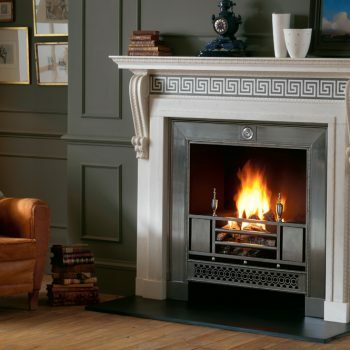 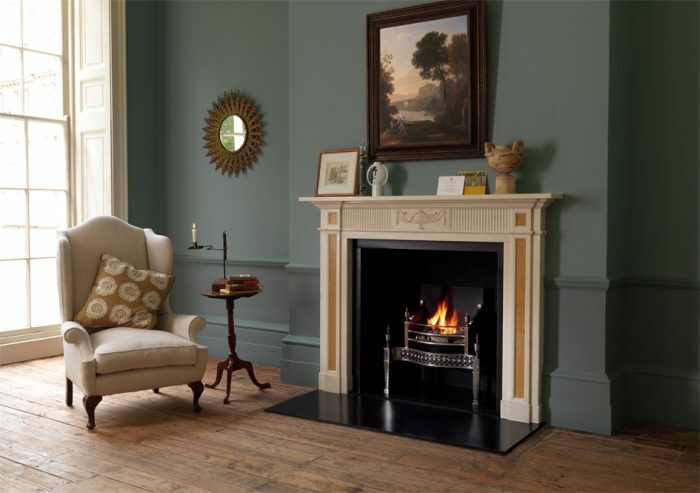 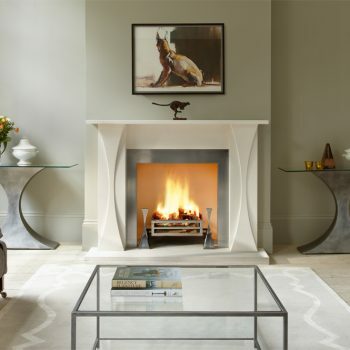 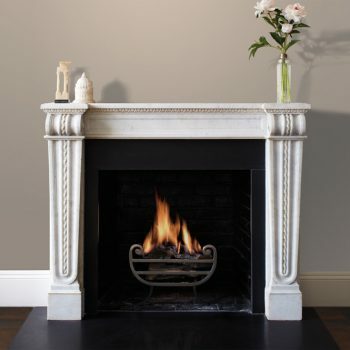 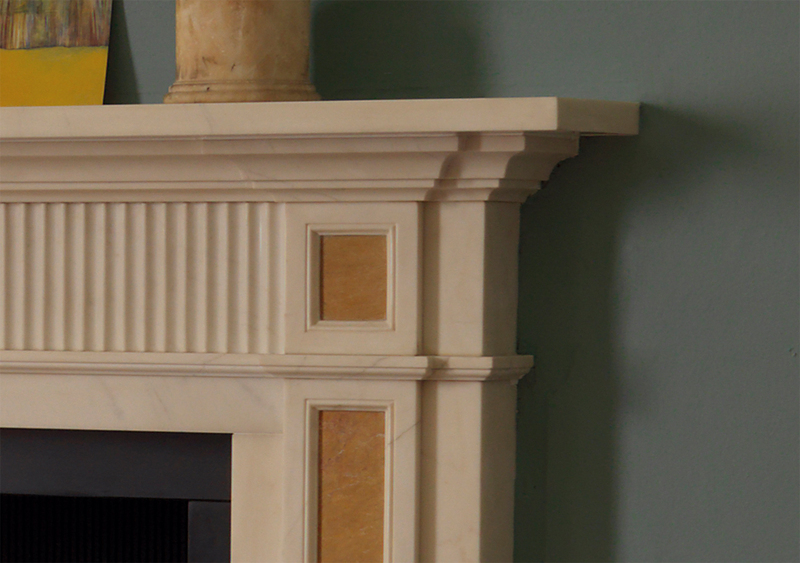 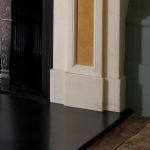 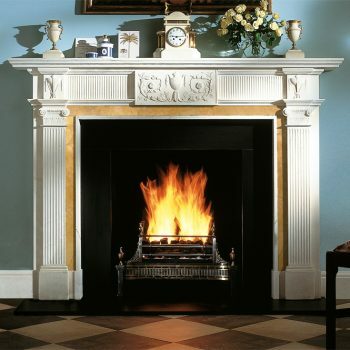 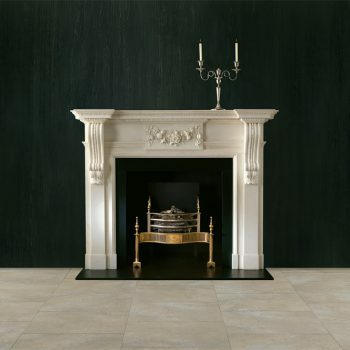 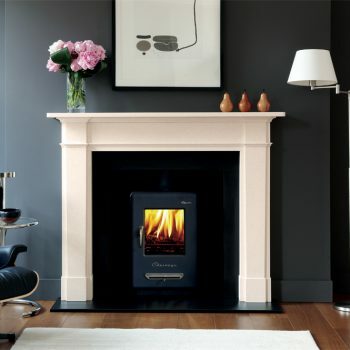 It is shown here in statuary marble with Giallo Treviso marble ingrounds, Osterley fire basket in steel, black slate hearth and slips.